The Doctrine of the Jainas is an English translaton of the world famous German book "Die Lehre der Jainas" of W. Schubring by Wolfgang Beurlen. The author has also revised the English translation thoroughly. He has tried that the Jaina friends might come to obtain an idea of what has been accomplished by Western scholars during a period of about one hundred and fifty years, burning the midnight oil, with a view to make the world acquaint with one of the finest achievements of the Indian mind. 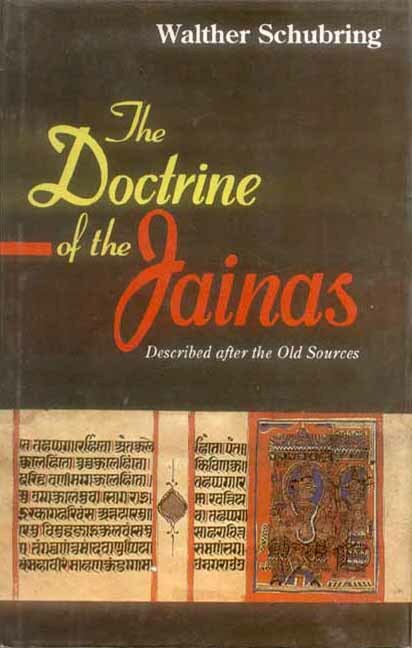 The author has tried to put the essence of Jaina religion and philosophy in a very clear way so that any student of religion or philosophy can easily trace out Jainism with a view of history, cosmology and cosmography. This enlarged edition contains three indices.